The healthcare industry stands to benefit momentously from the digital connectedness and innovation offered by contemporary technologies such as enterprise video. As an industry that has undergone numerous technological advancements in recent years, video streaming in healthcare is brimming with possibilities to transform the channels and effectiveness of communication between caregivers and patients, while also modernizing internal training activities, knowledge sharing, and collaboration among care teams. For healthcare practitioners, the incorporation of enterprise streaming video, everywhere from surgical ORs to a patient’s home, could bring on transformational possibilities to revolutionize healthcare accessibility for patients; knowledge readiness for caregivers; increased collaboration among care teams; improved care coordination and patient engagement; as well as lowered operational costs for healthcare facilities across the board. 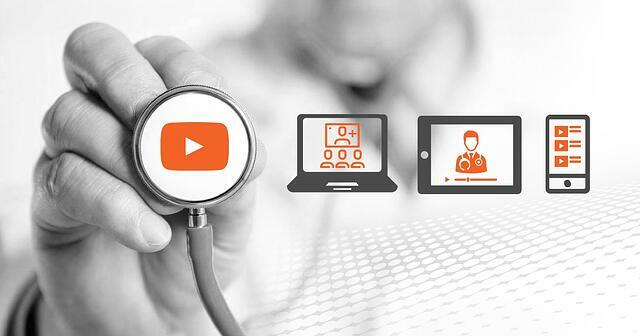 WHY USE VIDEO STREAMING IN HEALTHCARE? Conduct staff training for quality improvement: The healthcare industry moves fast and practitioners need continuous training and certifications to stay up-to-date with ever-evolving research and latest advancements in medicinal knowledge, treatments, and best practices. Video-based training is an excellent medium to enable audiovisual and interactive learning that not only supports varying learning styles but also provides easy accessibility for self-paced learning from any device or location. Furthermore, video-based training eliminates the cost expenditure as well as time inefficiencies associated with onsite training and likely traveling. Healthcare institutions can provide a wide range of training activities such as continuing education, medical equipment demos, best practice education, and more. Additionally, a healthcare video platform can employ interactive training videos with quizzes embedded for testing, and issue certificates for training completion or scores. Mass communication and implementation of new policy and regulation: Video streaming in healthcare has become a critical enabler for quick and efficient communication of frequent policy changes or compliance and regulatory mandates that are required for timely dissemination and enforcement in highly regulated healthcare services. Live or on-demand videos of such executive messaging and policy annoucements can be presented alongside any supporting documentation for visual aid and made accessible on any device or network conditions, to staff locally as well as those who may be located off-site or in remote, isolated regions. Video analytics can also be used to track user-level acknowledgment and viewing of all required media while also ensuring that old policies are properly archived to avoid any mix-up with new and incoming regulations and requirements. Assign aftercare or wellness videos for patients with external portal access: With video, care teams can administer aftercare services or wellness programs remotely to disseminate instructions and knowledge to patients via conveniently provisioned online videos accessible to patients and their families through an online video streaming portal. Not only does this relieve the patient of unnecessary hospital visits but also helps healthcare institutions better optimize their facilities and resources. On-demand videos can be assigned to patients by providing them or their families external stakeholder access to the healthcare portal containing videos for recovery and aftercare, preventative care, ambulatory care and ever precautionary care for high-risk conditions. The patients can view the video at their convenience, on a device of their choosing, and without concerns about network connectivity. Live-stream surgical procedures: Some surgeries are now required for live broadcasting to a wider staff and students as a means for highly engaged learning in real-time. Live streaming can deliver high-quality video streaming in healthcare from the OR to any number of users and devices, equally serving those in bandwidth-challenged networks. Additionally, all live video streaming is also recorded and archived with on-demand access for offline viewing later on. Live broadcast public or private events: For those who cannot physically attend, live video streaming in healthcare can be used to broadcast conferences or events to reach a wider audience in real-time directly on people’s desktops, smartphones, and tablets. The U.S. Department of Health and Human Services (HHS), for instance, uses live video streaming to broadcast seminars, summits, advisory council meetings, town halls, and other events that involve material discussions such as new research findings or listening sessions on strategies for improving medical treatments, and much more. Interactive health webinars: Doctor can use live streaming video to conduct interactive webinars for tens or hundreds of patients to discuss and answer questions regarding specific disease education and treatment. Viewers can submit their questions via live chat, and the doctor can address them in real-time. Despite the doctor’s remoteness, such engagements create an immediate and natural connection between them and the patients while at the same time facilitating the people with reduced mobility such as the elderly, disabled, weak or ill. Stream and record surgeries: Video streaming in healthcare surgeries carries a great variety of benefits, both for doctors and patients. Not only do recorded procedures create an opportunity for training, learning, and self-improvement for surgical teams, but it also enhaces treatment quality through accountability – deterring malpractice, unprofessional behavior or mere carelessness. Patients are also likely to prefer having a record of their medical procedures for reference. Moreover, since most medical and surgical devices now come with a camera, it is only a matter of pressing the record button to start filming. Emergency protocol training videos: Healthcare institutions can quickly record and disseminate contingency planning videos to all staff with protocols, action plans, and preparatory training for impending emergencies such as a state or region-wide prediction for an environmental disaster. Standard emergency protocols for internal emergencies such as a fire evacuation or an electrical failure can also be assigned to all staff for mandatory viewing to prepare them for unfortunate events that require extreme preparedness and quick response time, especially in terms of safe evacuation or displacement of the patients involved. Other emergency response videos can also be created for emergency staff and ambulance staff, or for quick review in the case of mass casualties or critical situations that may require all hands on deck. Customer service and ethics training: Amid naturally tense vibes and time-pressed situations at healthcare facilities, it is of prime importance that hospital staff receive optimal training to maintain quality customer service and uphold key ethical values in all their interactions and dealings with patients. For staff customer service training or ethics education, video can prove to be of immense value in providing a platform for highly effective audiovisual demonstration of commonly recurring healthcare scenes and scenarios and how to tackle the most frantic, heated or chaotic of situations, such as the right words or even body language to use when dealing with a distraught patient, tips on tranquilizing a stressed or frazzled family, the do's and don'ts of ethical physician-patient/ nurse-patient interaction, etc., to prevent any potential customer service issues or ethical dilemmas. Patient testimonial videos: Patient testimonial videos are an incredibly powerful marketing tool to reach out to new or existing patients. According to Pew Research, one-in-four (26%) adult internet users say they have read or watched someone else’s health experience about health or medical issues in the past 12 months. Therefore, with video, healthcare facilities have an excellent opportunity to simply record customer stories and testimonials of their experience with a certain medical condition, and how healthcare services or facilities were able to help. Such compelling video content can then be disseminated to a wide audience of existing or potential patients via email, social media, websites, blogs and health news portals to show what new patients can expect, which in turn indicates and promotes an institution’s credibility, quality of service, market differentiation and customer satisfaction. VIDIZMO, a Gartner recognized streaming video solution, offers a powerful healthcare video platform designed to serve all healthcare video and digital media use cases discussed above. Additionally, VIDIZMO can provide or accommodate any other video management needs healthcare institutions may have. For instance, healthcare institutions looking to monetize and syndicate their digital media content such as videos, audios, e-books, and papers for marketing purposes can do so using VIDIZMO's e-commerce video portal. With this portal, health institutions can sell online content, rent it out, or make it available on a subscription basis to health practitioners, health service providers, or third-party websites -- all directly from VIDIZMO’s healthcare video platform. For any further details about VIDIZMO's healthcare video platform, visit our website or contact our team for more information.